#CheekyNandos caught the internet by storm a couple of weeks ago. What appears to have started out as a, for want of a better phrase, ‘cheeky bit of banter’ between lovers of a casual dining restaurant has erupted onto the news feeds of almost every social media platform and online news publication. To some, it represents the latest unforeseen meme in the constantly revolving conveyor belt that is the internet. To me, I see it as a cracking piece of PR and a great example of the power of building brand advocacy for B2C companies. Many genuinely brilliant PR minds will tell you that you can’t force this level of virality but as communicators we can’t just accept this is the case. It’s riskier than traditional tactics but the payout for creating loyal and noisy brand ambassadors can be worth it. It’s worth noting that building brand advocacy doesn’t just lie solely with the PR and Marketing teams. The brand experience delivered in a store, online or via a mobile device will often steer the direction and tone that evangelists develop. It’s important to recognise this before any engagement happens. Once a brand knows where it is and what its customers think, it can then decide what it can do to either change or amplify that. To fundamentally change the operations and experience can be costly so when that’s not an option, brands have to make the most of what they’ve already got. 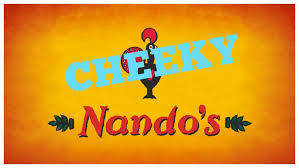 When brands have found their #CheekyNandos appeal, next on the hitlist is to convince people to spread it like wildfire. Subtlety is obviously key here; it’s what separates us PR people from the rest of the marketing industry and with this tactic it makes a notable difference. People have never been more aware of brands trying to influence them than they are right now and can sniff out sneakiness like a bull to a red flag. Make a list of social influencers. And that doesn’t mean the cast of TOWIE or Made In Chelsea. Do some research to find normal, everyday human beings that already love the brand. These people will be more than happy to amplify PR on social media, often without needing anything in return. Look after these people like you would a national journalist or a key blogger. Invite them to events, give them some free stuff, tell them about your plans. They genuinely care and will do everything in their power to tell absolutely everyone about how wonderful, new, shiny, innovative, affordable and yes, even how cheeky, the brand is. There are other benefits too. If brands put in the time and effort, these advocates will be like their own personal army of communicators. If a critic says something negative, their ambassadors will defend them so the brand doesn’t need to get drawn into a messy online debate. By nurturing these relationships in the right way, brands can start to create a social-driven CRM culture. Say for example a customer has a fault with a product and tweets the brand. Quite often they would receive a pretty generic response directing them to a helpline or website. What if instead, a brand advocate with the same product jumps in to solve their problem for them? All of a sudden social media teams are spending less time trudging through social media issues and spending more time finding and engaging with other advocates, leading to a bigger, more active community. Big communities act as big voices. Big voices get heard which helps them to get shared. And the more things are shared, the more likely they are to become a viral hit. I’m not saying that every advocacy campaign will lead to a meme but if these advocates, either built by a brand or accidental, don’t exist then the viral embers will go out before the fire even really starts. Be positive and don’t let pessimism into your PR strategy. It’s a risk but if brands put the effort into finding and nurturing advocates, they could not only have their own #CheekyNandos moment, it could also deliver long term business value.